1. Increasing physically active behaviour among people with disabilities : The health benefit of physical activity for the general population is well established and research indicates that the health benefit of physical activity for people with disabilities is likely to be even greater than it is for the general population. However there is very little research that evaluates whether we can successfully encourage people with disabilities who are sedentary to become physically active. Evaluating the efficacy of interventions that aim to promote adoption and maintenance of physical activity among people with disabilities, particularly those in post-acute rehabilitation, is a principal area of interest for Sean. This line of research is one of many that is greatly enhanced by access to the mobile exercise science laboratory. 2. Development and evaluation of classification systems in disability sport : The purpose of classification is to facilitate fair competition among athletes with disabilities by minimising the influence of impairment on the outcome of events (i.e., to ensure an athlete is not precluded from success simply because they are more disabled other competitors). Systems of classification that are scientifically and taxonomically sound are critical for all levels of disability sport, encouraging participation among novices and ensuring the integrity of competition at the elite level. Sean is currently conducting a research project in this area that is funded by the Australian Sports Commission. Sean Tweedy has held the CONROD Research Fellowship in Physical Activity and Disability in the school of Human Movement Studies since 1997. In his role he conducts a teaching, research and community service programme in adapted physical activity. Prior to 1997 Sean worked as an exercise physiologist for the Sporting Wheelies and Disabled Association (1985-95) and ran the talent identification programme for the Queensland Academy of Sport (1995-97). He completed his Masters degree part-time (1993-96), investigating the effects of a resistance training intervention on adolescents with cerebral palsy. Sean completed his PhD in 2006, entitled Promoting physical activity among community-dwelling people with acquired brain injury. He runs the Adapted Physical Activity Program which is a community-based program that assists people with disabilities to become more physically active. To find out more about the program, please visit http://www.hms.uq.edu.au/community-services/professional-services/adapted-physical-activity-program-%28apap%29/. 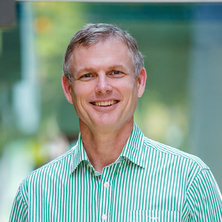 Sean is Principal Investigators in the UQ IPC Classification Research Partnership, an internationally accredited classifier in Paralympic Athletics and has classified at four World IPC Athletics Championships (1994 and 1998, 2006 and 2011) and the last four Paralympic Games (2000 -2012). In the general population, the dose-response relationship between exercise volume and relative disease-risk is curvilinear with an inflection at 150 minutes of moderate-intensity exercise per week: below this volume (i.e., lower frequency, intensity and/or duration) relative disease-risk increases rapidly; and above this volume, disease-risk continues to decrease, but less rapidly. Importantly, there is no obvious upper threshold. This dose-response relationship is believed to apply to people with cerebral palsy (CP), although research in this population to date has focused almost exclusively on low-volume exercise. The benefits of high-volume exercise have not been investigated and anecdotal evidence indicates that high-volume exercise, such as is undertaken by Paralympic swimmers, elicits clinical outcomes that significantly exceed those conferred by lower volumes. This proof-of-concept study will apply Talent Identification/Talent Development methods from elite sport to identify untrained, people with CP with moderate-to-severe impairments, but with physical and psychological attributes known to be advantageous in competitive swimming. Half of the sample will complete a 12-week, high-volume, performance-focused swimming program. The effect of this exercise dose on participants’ health, fitness and functioning will be compared with the effects of a 12-week intervention aimed at assisting a control-group to accrue 150 minutes of moderate-intensity exercise per week. Tweedy, Sean M., Mann, David and Vanlandewijck, Yves C. (2016). Research needs for the development of evidence-based systems of classification for physical, vision and intellectual impairments. In Yves C. Vanlandewijck and Walter R. Thompson (Ed. ), Training and coaching the paralympic athlete (pp. 122-149) Chichester, West Sussex, United Kingdom: John Wiley & Sons. Tweedy, Sean and Howe, P. David (2011). Introduction to the paralympic movement. In Yves C. Vanlandewijck and Walter R. Thompson (Ed. ), The paralympic athlete (pp. 3-30) Chichester, W Sussex, United Kingdom: Wiley-Blackwell. Tweedy, Sean and Diaper, Nicholas (2010). Introduction to wheelchair sport. In Vicky Goosey-Tolfrey (Ed. ), Wheelchair sport: A complete guide for athletes, coaches, and teachers (pp. 3-28) Champaign Ill., U.S.A.: Human Kinetics. Tweedy, S.M. and Bourke, J. (2009). Appendix B - Rationale for changes in criteria for unilateral upper limb deficiency. In Sean Tweedy and J. Bourke (Ed. ), IPC athletics classification project for physical impairments: Final report (pp. 72-74) Bonn: IPC Athletics. Tweedy, S.M. (2009). Appendix C - Assessing extent of activity limitation resulting from impairment. In Sean Tweedy and J. Bourke (Ed. ), IPC Athletics Classification Project for Physical Impairments: Final Report (pp. 75-77) Bonn: IPC Athletics. Tweedy, S. M. (2008). Reducing preventable health disadvantage for people with disabilities through physical activity promotion. In Taylor, Sandra, Foster, Michele and Fleming, Jennifer (Ed. ), Health Care Practice in Australia (pp. 255-269) Melbourne: Oxford University Press. Tweedy, S. M. (2003). The ICF and Classification in Disability Athletics. In R. Madden, S. Bricknell, C. Sykes and L. York (Ed. ), ICF Australian User Guide, Version 1.0, Disability Series (pp. 82-88) Canberra: Australian Institute of Health and Welfare. Tweedy, Sean M., Williams, Gavin and Bourke, John (2010) Selecting and modifying methods of manual muscle testing for classification in Paralympic sport. European Journal of Adapted Physical Activity, 3 2: 7-16. Malone, L.A., Vanlandewijck, Y.C., Bressan, E., Burkett, B., Colantonio, E., De Mello, M.T., Fraijd, K. and Tweedy, S.M. (2008). Advancing paralympic sport through science: An international collaboration. In: European Congress of Adapted Physical Activity 2008, Torino, Italy, (). 9 - 11 October, 2008. Evidence-based classification: what is it, why is it important and how can it be achieved? Tweedy, S. M. (2008). Evidence-based classification: what is it, why is it important and how can it be achieved?. In: Classifying Disability and Sports Technology Conference, Singapore, (). 20-22 November 2008. Tweedy, Sean (2008). Recognising sporting potential in athletes with physical impairments. In: ICSEMIS Convention Program. ICSEMIS Pre-Olympic International Convention, Guangzhou, China, (5-5). 1-5 August 2008. Tweedy, S. M. (2008). Towards evidence-based classification for wheelchair rugby. In: ICSEMIS Convention Program. ICSEMIS Pre-Olympic International Convention, Guangzhou, China, (196-196). 1-5 August, 2008. Towards evidence-based classification in Paralympic athletics: What is the optimal seated throwing position? Verellen, J., Van Biessen, D., Meyer, C., Tweedy, S. M. and Vanlandewijck, Y. C. (2008). Towards evidence-based classification in Paralympic athletics: What is the optimal seated throwing position?. In: European Congress of Adapted Physical Activity 2008, Torino, Italy, (). 9-11 October 2008. Tweedy, S. M., Kruimer, A., Richter, K. and Bourke, J. (2007). Proposal for new eligibility criteria for the Cerebral Palsy International Sport and Recreation Association. In: 4th International CP-ISRA Classification Conference, San Sebastian, Spain, (). 26-28 October 2007. Tweedy, S. M. (2007). The case against exercise as a means of improving long term health outcomes in people with neurological impairment. In: Australian Physiotherapy Association National Conference Week, Cairns, Queensland, (). 3-7 October 2007. Tweedy, S M, Williams, G. and Bourke, J. (2006). Improving reliability and valitidy of manual muscle testing in disability sports classification. In: Y. Vanlandewijck, 2006 VISTA Conference Abstract Booklet. Classification: Solutions for the Future, Bonn, Germany, (19). 6-7 May, 2006. Tweedy, S M (2006). Threats to Paralympic sport: Practical implications of ignoring theory in classification. In: Y. Vanlandewijck, 2006 VISTA Conference Abstract Booklet. Classification: Solutions for the Future, Bonn, Germany, (34-35). 6-7 May, 2006. Tweedy, S. (2004). A National Initiative for Increasing Sports Participation among Australians with a Disability. In: 3rd CONROD Convocation, Brisbane, Australia, (). 26 May, 2004. Tweedy, S. M. (2004). Behavioural and Health Changes in response to a Community-based Physical Activity Intervention for People with ABI. In: Proceedings of the 3rd CONROD Convocation. 3rd CONROD Convocation, Brisbane, Australia, (). 26 May, 2004. Tweedy, S. M. (2003). Efficacy of a community-based physical activity intervention for people with acquired brain injury. In: Symposium Organising Committee, 14th International Symposium on Adapted Physical Activity Abstracts. Inclusion, Coexistence, Human Value for All through Adapted Physical Activity, Seoul, Korea, (66). 4-7 August, 2003. Tweedy, S. M. (2003). Research methods for developing and evaluating a new system of classification in disability athletics. In: Symposium Organising Committee, 14th International Symposium on Adapted Physical Activity Abstracts. Inclusion, Coexistence, Human Value for All through Adapted Physical Activity, Seoul, Korea, (84). 4-7 August, 2003. Tweedy, Sean M. (2002). Applying the ICF to disability sport: an example from disability athletics. In: Meeting of Heads of World Health Organisation Collaborating Centres for the Family of International Classifications, Brisbane, Australia, (). 14-19 October, 2002. Tweedy, S. M. and Barker, R. (2002). Lifestyle Physical Activity in Neurological Rehabilitation. In: Faculty of Health Sciences Teaching and Learning Workshop, Brisbane, Australia, (). 20 June 2002. Tweedy, S.M. and Madden, R. (2000). Using the ICIDH-2 to define eligibility for disability athletics. In: Pushing the limits / 5th Scientific Congress, Sydney 2000 Paralympic Games, Sydney, NSW, Australia, (). 11-13 October, 2000. Tweedy, S. (1999). Physical Activity, Impairment and Disability. In: Roderick McClure, Readings in injury prevention and control : proceedings of the Third National Conference on Injury Prevention and Control. The Third National Conference on Injury Prevention and Control, Brisbane, Qld, Australia, (). 5-9 May, 1999. Tweedy, Sean M. (1999). Scientific Considerations of Classification in Athletics. In: Proceedings of 7th Annual Scientific Meeting of the Australasian Faculty of Rehabilitation Medicine in association with International Association of Health Professionals in Rehabilitation. 7th Annual Scientific Meeting of the Australasian Faculty of Rehabilitation Medicine, Adelaide Australia, (). 23-27 March, 1999. Tweedy, Sean Michael (2006). Promoting physical activity among community-dwelling people with acquired brain injury PhD Thesis, School of Human Movement Studies, The University of Queensland. Pathways and Choices Related to Housing and Support for Younger People with High Care Needs.